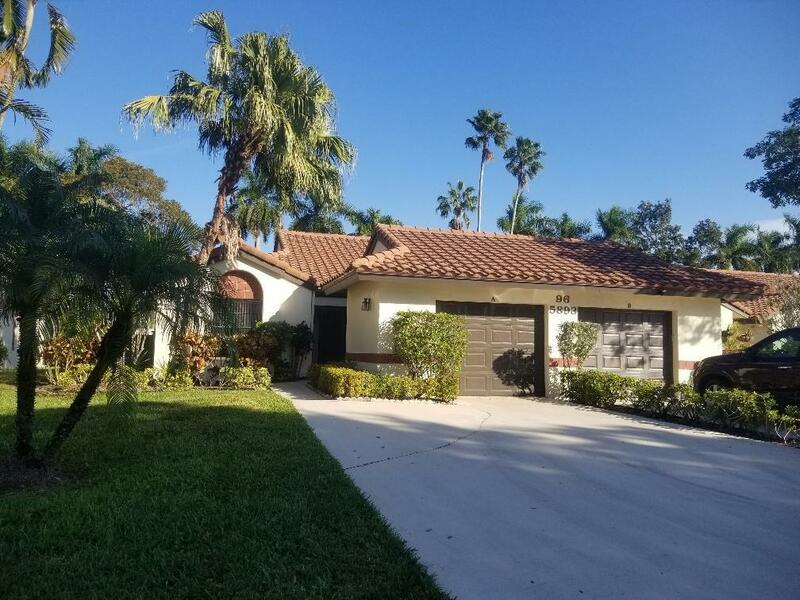 Lovely villa in desirable Palm Chase Lakes Gated Community. Centrally located in Boynton Beach. Single story contemporary style villa with 3 bedrooms, 2 bathrooms, 1 car garage. Close to I-95, shopping and fine dining. Just a 20 minute drive to downtown Delray Beach Atlantic Avenue and some of the best beaches and parks Florida has to offer. Amazing curb appeal, well maintained lawn and inviting garden. Open concept floor plan with living and dining room combo, tile through-out the living area. Carpet in bedrooms, plenty of windows that allow all the natural light in. Kitchen has ample cabinetry and counter space.